1How long does it take to make my copies? Time starts when we receive your disc for duplication and have all approved graphics in hand to process your order. If your packaging is simple such as in Bulk, in White Window Sleeves, in Thin Jewel Cases or in Clear Plastic Clam Shell Cases, we are able to ship out two (2) days after we receive your disc for duplication. 2How long does it take to make my copies if I order them in Thin Jewel cases with Full Color Printed Inserts or in Black DVD Library Cases with Full Color Wrap-Around Sleeve Covers? Time starts when we receive your disc for duplication and have all approved graphics in hand to process your order. It takes longer to do your copies if we must print-out full-color Inserts or full-color wrap around sleeve covers. Reason? Each insert and sleeve is custom-printed on heavy, 80-pound card stock because the heavier stock reproduces the color better than on thin paper. Then, the printed stock is sheared to fit in the container and the container is hand- packaged with the disc(s), printed insert/cover sleeve and then the package is shrink-wrapped for retail-ready distribution. Allow 5-7 days for printing, shearing and processing. Thereafter, we will ship your completed order. With advance coordination, speed of processing can be increased with a shortened delivery time. 3How About Rush Orders? Can you work faster? 1Tell me about your FREE USA shipping. How does that work? You may have noticed that other duplicators don’t offer FREE shipping. Remember that - when you start comparing our prices to their prices. The reason other duplicators don’t offer free shipping? It costs money. Somebody has to pay for it and at DVDs4Less, we decided to pay the cost of our customer’s shipping bill. We built the cost of shipping into our operating structure for your convenience. So who ends up paying for the shipping? We do. When DVDs4Less pays for your shipping – we make a smaller profit on your duplication order than the other company that charges you shipping for doing business with them. So why do we pay for your shipping when nobody else offers free shipping? When DVDs4Less pays the cost of shipping, no matter if you live in Pennsylvania or Puerto Rico, you don’t pay a shipping penalty for doing business with DVDs4Less. Alaska, Hawaii, New York, Texas, Florida, D.C. or North Carolina, everyone pays the same low price. DVDs4Less is just down the street and a phone call away. That’s the reason our low prices include FREE USA shipping. 2What kind of shipping Service do you provide? Is it slow, fast or half-fast? DVDs4Less is a 100% USA-owned company that proudly ships via Priority Mail using the United States Postal Service. The U.S. Postal Service says they will deliver all Priority Mail within three business days to its US destination. Usually, that is absolutely true. Sometimes, your discs are delivered within only two days if you live near a major city! Occasionally, shipping takes 4 or 5 days especially during the Christmas rush. DVDs4Less can’t guarantee the postal service delivery schedule but 99.999% of the time, the Postal Service is spot-on and prompt. DVDs4Less service doesn’t stop when your order is boxed and ready for bar-coded shipment. We make a daily “hands-on” delivery to the main post office loading dock where packages are taken directly into the post office, scanned for bar code and sent onto the line for immediate processing and shipment via the airlines and common carriers that ship Priority Mail for the post office such as UPS and FedEx air. All DVDs4Less shipments are tracked so we know where your order is at during the shipping process. Can you track your own Priority Mail shipment? Absolutely. Either DVDs4Less will track your order for you or we will provide you with the tracking number so you can track the order yourself on the internet using the USPS website. 3Where do you ship for FREE? You are entitled to FREE USA shipping anywhere in the USA, Alaska, Hawaii or any USA Protectorate such as to Puerto Rico, Guam, Virgin Islands and other domestic areas listed by the U.S. Postal Service that qualify for domestic postal shipments. FREE USA shipments do not include international destinations. 4Does DVDs4Less provide shipping and fulfillment to all my customers? FREE USA Shipping is limited to one (1) domestic USA location per pre-paid order. DVDs4Less will not ship a 25-piece order to 25 different customer destinations nor to more than one (1) domestic location in the USA, per pre-paid order. 5What if I want to ship overnight via FedEx or UPS Service? No problem – only then, YOU pay the entire cost of the shipping. DVDs4Less does not provide a FREE overnight shipping service. 1How do I build my own graphic? Dual-Layer DL: Use this template for DL dual-layer DVD discs only. Thin Jewel Case: Use for building color inserts of thin jewel case covers. Black Library Case: Use for building full-color sleeve covers to be inserted around DVD library cases – just like a movie. 2How do I use the template? Use the template as a guide for building your graphic. If you are using Photoshop, bring the template in as one of your layers and then build your graphic over the template using subsequent layers. Don’t forget to turn off the template layer when you are finished building your disc graphic or any graphic. 3How shall I save my graphic? Save as a JPG image. Always remember to turn off the template layer before saving your graphic. Then, save your graphic as a high-quality JPG image. ALWAYS save your graphic at the highest quality possible. A graphic that is between 1-5 Mb is not too large. Do not save your graphic as anything except a JPG file. Any other file type cannot be used. 4What if I don’t know how to build a graphic – then what? No worries. If it is just text that you need, DVDs4Less can build your graphic for you at no charge. If you have pictures or logos, there will be a small $35 charge for graphic development. If you want us to design a logo or build extensive graphics, we can do that for you as well for an additional charge. 5May I scan an image or a picture and send it to use as a background? Absolutely. Send us any picture as a JPEG file and we’ll use your own picture in the graphic and place your text. This works great for special events, school plays, reunions, weddings, anniversary and memorials. 6Do you have any graphic backgrounds I can use? Yes indeed, almost unlimited and very professional. Give us a hint of what you’d like to see such as: Outdoor Lake, Mountains, Fall Leaves, Seashore, Crashing Waves, Grassy Field, City Lights, Freeway, Boats, Cars, Planes, Trains, Sports Theme, Faith, Holidays, Desert, Tropics, Middle East, Hawaii, Agriculture, Medical, School, Sunrise, Sunset, National Parks, Europe, Golden Gate Bridge, Water, Abstract, Brilliant Colors or most any other theme. Tell us what you want and DVDs4Less will send email samples so you may choose a background and a layout you like. 1Can you tell me about your duplication process? We take your order very seriously. 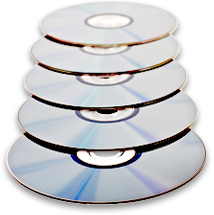 We start by making sure that your disc plays in a standard DVD or CD quality control machine before we duplicate. No, we don’t watch or listen all the way through because we assume you already did that before you send us your disc copy. The QC operator is looking to make sure the image is good, that it does not skip or jitter and that the audio is solid without cracks and pops from digital noise. 2What are your procedures? Do you just throw everything on a stacker and let the machines take over? 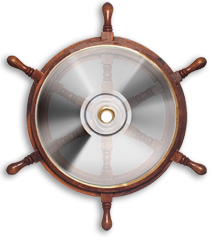 DVDs4Less has many unique procedures that allow us to guarantee the quality of our duplications. Once your disc has passed Quality Control, it is put into an electrostatic-free job box with virgin discs that are pre-counted to conform with your order. This is the “first count”. The tech sets up your machine by cleaning all the heads prior to duplication. The tech reads the job order, and programs the machines to burn the prescribed number of discs. This is called the “second count” of your order where the machines are programmed to burn a prescribed number of discs. To start, we burn each and every disc – one disc at a time. The burners are hand-fed in a clean room environment by experienced techs who observe the burning process. The first discs come off and are checked to make sure the machine is burning correctly. DVDs4Less burns every disc at 1X burn speed. 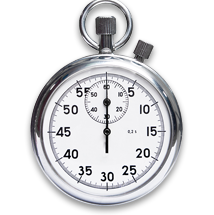 Most duplicators set their equipment for speed and burn at 16X speed for DVDs and 52X speed for CDs. We do not. The slower the burn speed the more accurate the burn. CDs, DVDs and Dual Layer discs, all are burned at 1X play speed. When the duplication is finished, the operator checks the machine to re-confirm that it burned the prescribed number of discs. That is the “third count”. If a disc does not burn correctly, the duplication machine marks that disc for rejection. The operator puts that disc on a “cull stacker” for generic test printing and replaces the disc with a new virgin blank. 3What kind of disc media do you use? All media is not identical. Yes, all discs are round and all discs have a center hole but that is where similarities end. Some of the cheaper media is known to be problematic. DVDs4Less checks every new media shipment for QC and burn consistency before the new shipment is released to production. That is the reason we only use the highest-quality master media discs for our duplication. At our low prices and with FREE shipping, we absolutely cannot afford to send out a bad batch of discs. You, see, we guarantee our work and so the only way to duplicate is to do it right the first time. 4Do you check my copies to make sure they are good? Your copies are checked twice for playback continuity. Our duplication machines start out measuring the file size on your disc. When the burn is complete, the machine checks to make sure that your copies are the precise and exact same file size as your master disc. If not, the machine ejects your disc to the side and it is rejected. Then, we do a playback of your copies in our quality control station to make sure your discs play correctly. If an error is discovered, the disc is rejected and replaced. 1Do you stick printed labels onto the discs? No. Professional duplicators like DVDs4Less print right onto the face of each DVD. No printed stickers are ever used. We print with ink at a resolution of 600 dpi. Our print stations are designed so that the operator can either boost or attenuate colors, selectively. If the grass in a picture looks sickly, the operator will boost the cyan and yellow print heads so they output more green in the dark areas of the grass. All of the colors are adjustable for the dark colors, the mid colors (gamma) and the brightest colors which are the highlights. 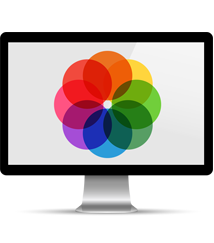 There are twelve color, luminance, tone and gain controls that allow the colorist to adjust each image for the best color. Many people are quite delighted to see the final color output from our printing where we turn ordinary images into beautiful prints. 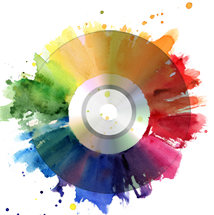 Once the colorist has run a few blanks and adjusted the color, the computer is programmed to print the precise number of discs as prescribed in the written work-order. We call this the “fourth count” when the quantity is again verified. Each disc is printed one at a time. 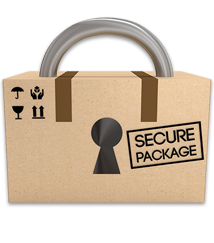 We also print extra copies and a MASTER disc that goes into our vault files for future printing of your copies. You’re always just a phone call away from making more copies. Call us for a repeat order and we’re on it - that’s it. 2How about the printed inserts and wrap-around sleeves printing? DVDs4Less commitment to quality continues in our printed materials. We print onto 80-lb. semi-glass card stock. Why such heavy paper? The heavy paper takes color much better than a thin piece of stock. Moreover, the paper “stands” better in the cases and has a better quality appearance because it is not thin or flimsy. Each printed insert and sleeve is hand-sheared to fit. Top to bottom, our product is high quality, guaranteed. 1What kind of materials are used in your packaging? White, see-through window sleeves come in 80 and 85 gram weight. DVDs4Less only uses sleeves that are 100-gram weight. Sleeved discs are inserted, counted and stacked in banded units of 25 units per stack. This is the fifth and final count before they are shipped. Our jewel cases fit tightly with clear, hard-plastic lids so that the printed artwork on the discs shows through beautifully. The cases are either shrink-wrapped or if requested, we will close the jewel cases and band them together in lots of 25 per lot. Our black DVD library cases are nothing short of exceptional. Not only do they close securely – but the high quality cases we use never allow the disc to come free in transit. From San Francisco to Siberia, no floaters! The discs are clasped on two sides. You can stomp on the case or throw it against the wall. You may even break the outer case with a hammer but the discs inside are always held fast and secure. Each DVD library case is individually shrink-wrapped and made retail-ready. Big time results for a thrifty price. Quality your customer will notice and appreciate.